Our team is the key to our success. They are what make our nursery so special. 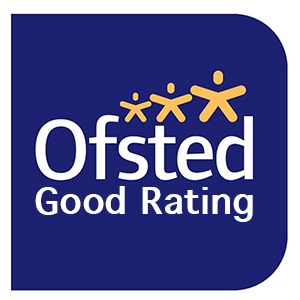 We recognise that our outstanding team are the strong foundation of outstanding childcare. Employees that are consistently high performing and demonstrating potential are rewarded and supported to progress within their career pathway. Our robust succession planning and investment in the team ensures that we continually have the best team of professionals working within our nursery. We employ a committed, caring and enthusiastic team. Each and every member of staff is highly valued and a very important team player. They are dedicated professionals who are all completely focused on the wellbeing and development of the children in their care. We continuously look to develop our staff and pride ourselves in fostering their professional development. A considerable number of our team either hold or are pursuing further qualifications including the early years teacher and professional status, BA Hons degrees, Foundation degrees and higher level National Vocational Qualifications. All of our team members are encouraged to further their qualifications and attend regular training. This helps us to give children wonderful experiences that are carefully planned by knowledgeable individuals. We recognise the importance of paediatric first aid and go that extra mile in supporting 100% of our team in achieving this qualification – compared to the statutory requirement of one person per site at any one time. The management team are supernumerary as we feel this investment helps us to achieve and maintain the highest standards of childcare.